Deep Cleansing Shampoo 00 is specially formulated with natural botanicals and designed to remove the build up caused by hair styling products, chlorine from swimming pools, and hard water minerals. Our Deep Cleansing Shampoo has been created to remove harmful build-up from your hair, leaving it healthy, strong, and smooth. Styling products can leave build-up on your hair that will weigh it down and diminish shine. This deep cleansing shampoo gently removes product residue to restore a healthy shine. Spend a lot of time in the pool? Deep Cleansing Shampoo 00 is great for use as an after swimming shampoo to remove chlorine from hair. We also suggest washing your hair with this shampoo prior to getting a hair chemical service to remove any build-up prior to your service. DIRECTIONS FOR USE: Apply to wet hair. Gently massage into a lather and leave in for 2-3 minutes. Repeat if needed for a deep clean. 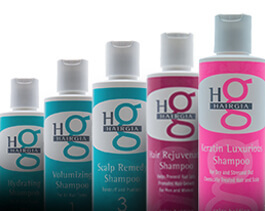 Rinse thoroughly and follow with your favorite HairGia conditioner. Here at HairGia, we are committed to creating the highest quality hair products using some of nature’s finest botanicals. Our products are sulfate-free and never tested on animals. Each product is tested and approved by our own family, ensuring that they provide ideal results. 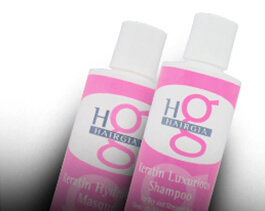 HairGia products are Earth-friendly and gentle enough fro daily use. If you have any questions or comments, please contact us online!